Professor Paul Santerre’s team focuses on cardiac tissue repair at the Ted Rogers Centre for Heart Research. 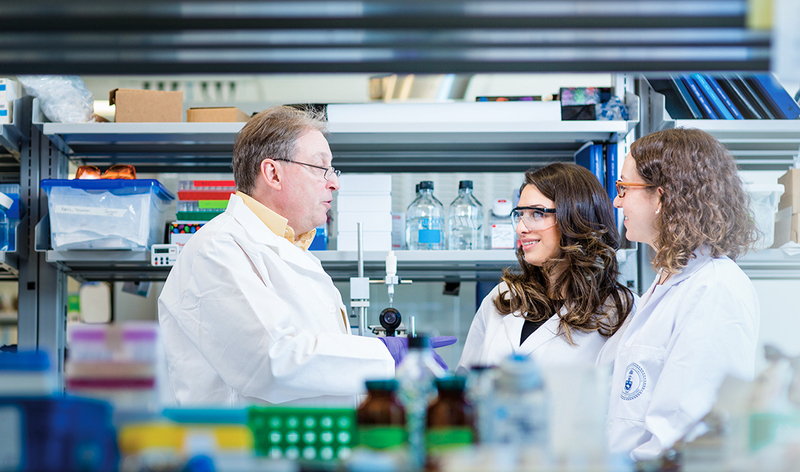 As an award-winning professor with U of T’s Institute of Biomaterials and Biomedical Engineering—and someone who is at the leading edge of practical applications that will help the millions of those around the world suffering from heart disease—Professor Paul Santerre is no stranger to accolades. An international leader in the field of cardiovascular biomaterials, Santerre recently earned a President’s Impact Award from the University of Toronto, an Entrepreneurship Medal from the Ontario Society of Professional Engineers, and the prestigious Governor General’s Innovation Award—he has been one of only six Canadians to receive this prize. Nevertheless, Santerre emphasizes the collaborative nature of his work as a principal investigator in the Translational Biology and Engineering Program (TBEP) at the Ted Rogers Centre for Heart Research, established in 2014 with a landmark gift of $130 million from the Rogers family to The Hospital for Sick Children, University Health Network and the University of Toronto. “To have leading experts in biomechanics, medical imaging and genomics all within seconds of my office, that’s really going to accelerate this work,” Santerre observes about the Ted Rogers Centre, established during the Boundless campaign. This project has already received considerable attention and additional public funding, including a three-year $600,000 Collaborative Health Research Project grant to further develop the biodegradable cardiac patch. The patch is just one of several initiatives made possible by the landmark gift from the late Ted Rogers, Jr., who himself passed away in 2008 from congenital heart failure.